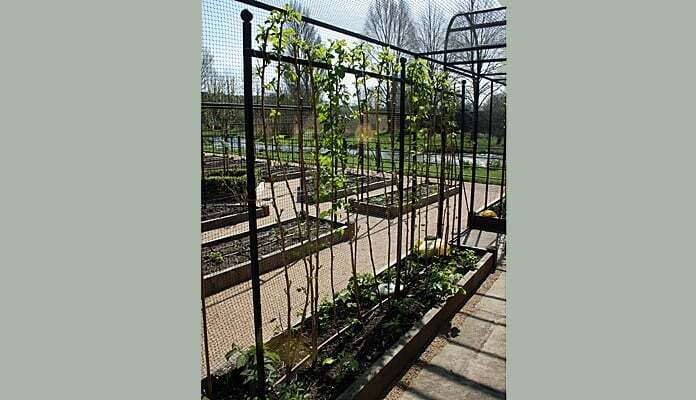 Our plant supports and plant stakes made by us in the UK. 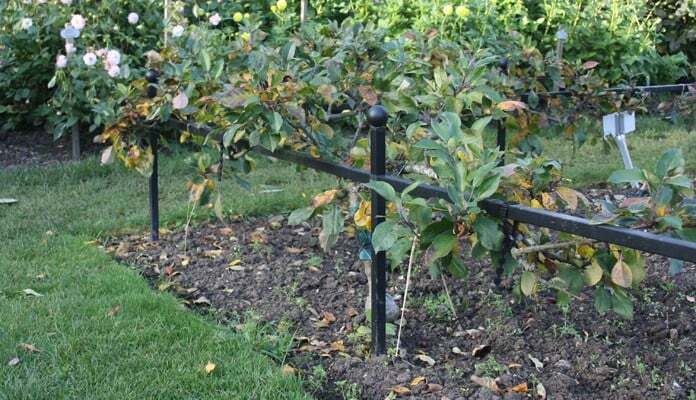 Providing proper staking and support protects many exposed plants and flowers from wind and rain damage. 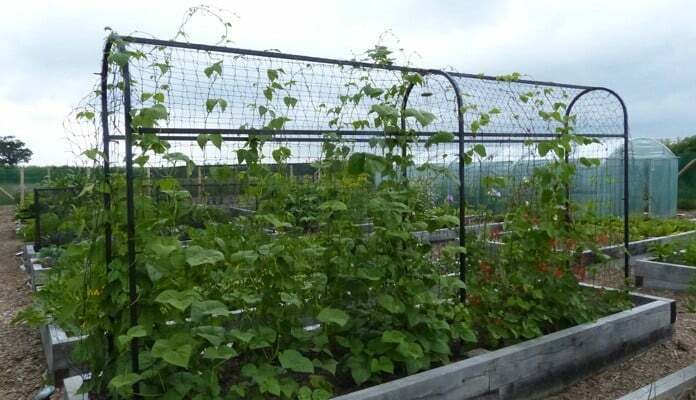 We have also developed a comprehensive range of Plant Climbing Frames suitable for all manner of climbing vegetables and ornamental plants, including pea and bean netting frames, raspberry supports, tomato plant supports and growing spires. 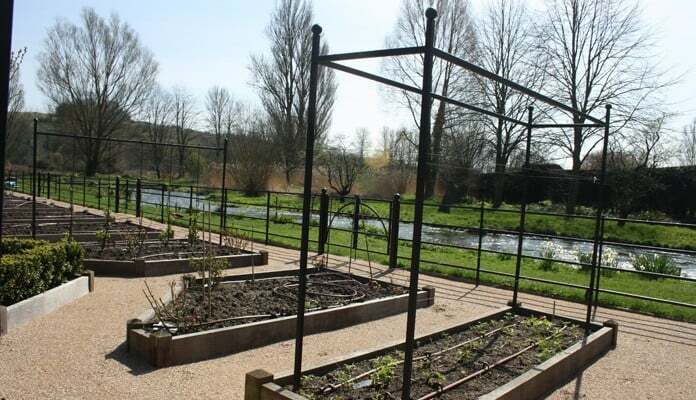 "We approached Harrod to assist with making several bespoke structures for our new vegetable garden which consists of a series of raised beds. The made to measure service was excellent – a representative called and spent quite a bit of time with us discussing our needs. He then proposed various structures and followed up by email with diagrams and price quotations for the various options. Once our decisions had been finalised the products arrived within a few weeks. Everything was wrapped securely and fairly easy to put together. 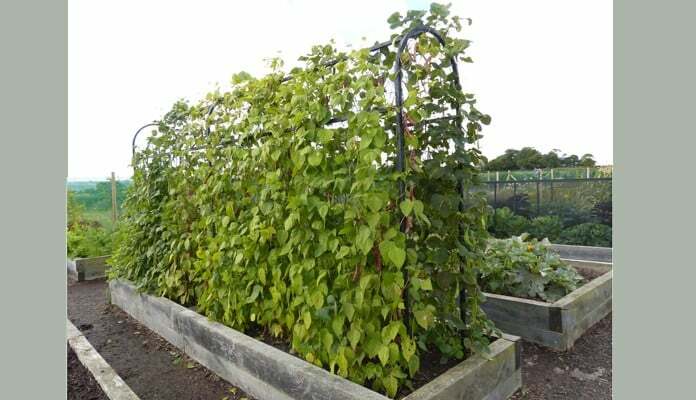 The Harrod Superior Bean Frame is so much more stable compared to using a structure made from hazel poles and it’s easier to pick the beans too. 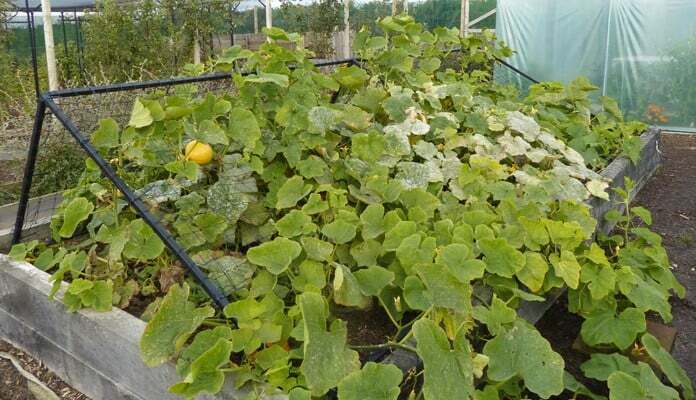 Although our squash harvest was poor this year due to the weather, you can see from the pictures that the net on the bespoke steel squash frame does exactly what it should do in supporting the fruits. All in all, we are very pleased with the service that Harrod provided and would recommend them to others looking to buy similar items." 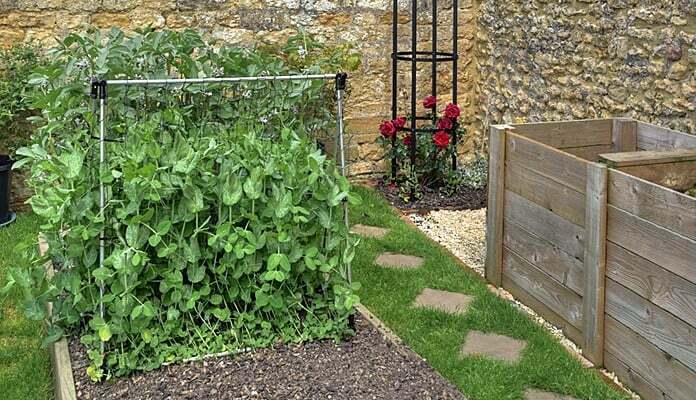 "Photos taken at the end of July - you can see how successfull growing sweet peas up your Harrod Slot & Lock® Bean & Pea Frames has been." 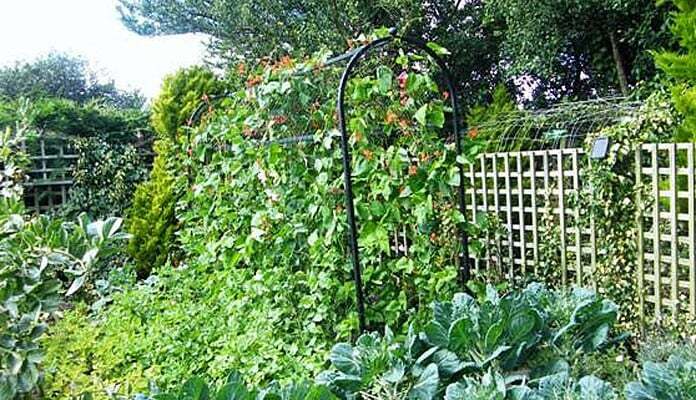 "My runner bean frame has been brilliant." 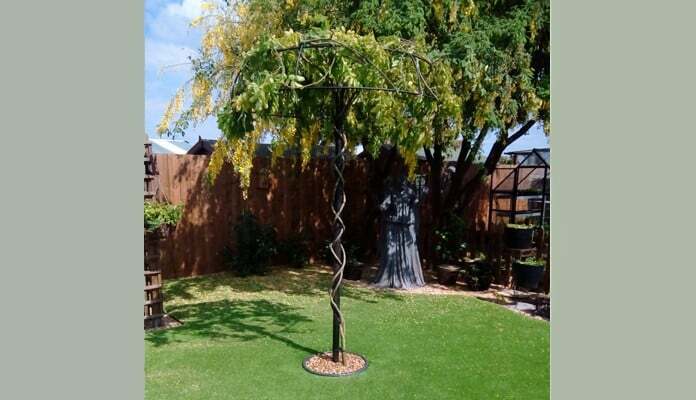 "The wisteria umbrella is a stunning idea. 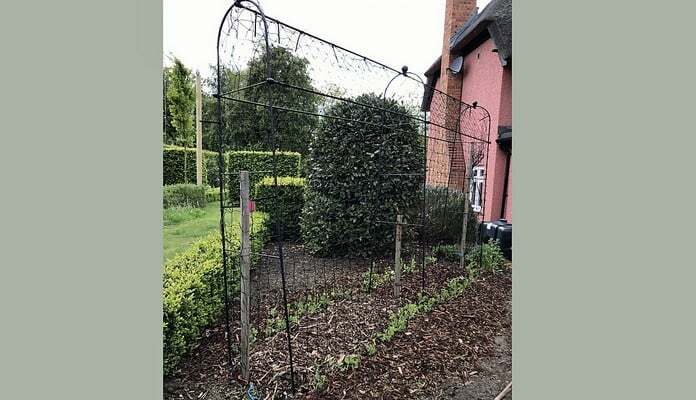 I have had a table top wisteria for a couple of years and quite quickly knew it needed something more substantial for support than the wooden pole and frame it had but didn't know what. I had just bought a couple of metal rods for it when I saw the umbrella in the catalogue. The transfer from one support to the other was easier than I thought it would be and looks amazing. 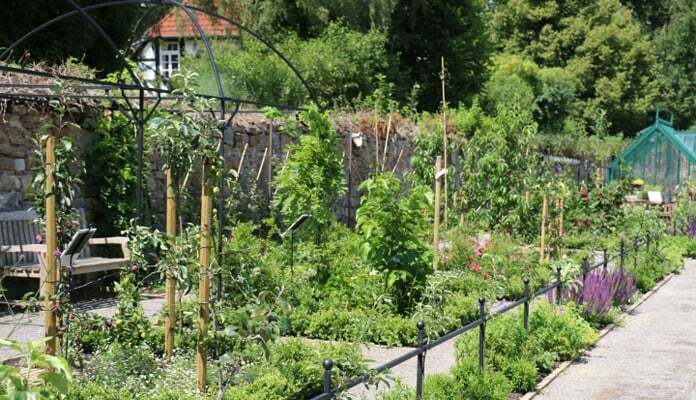 The wisteria is very happy and has new growth and the whole thing now looks very professional. 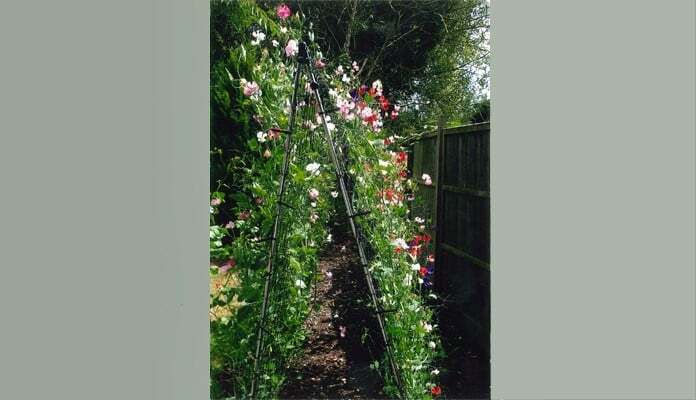 A big big thank you to the clever person that came up with the idea - everyone says how wonderful it looks."